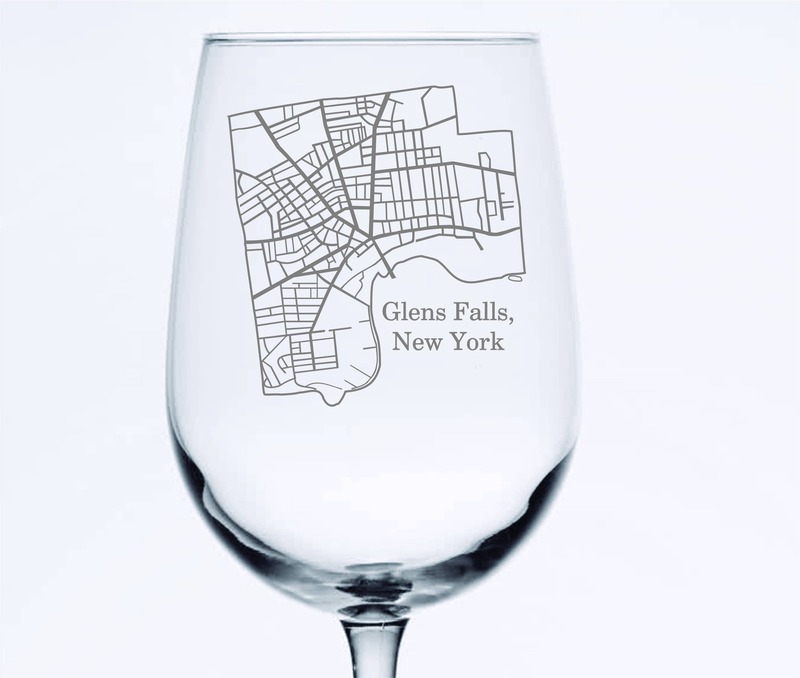 This listing is for our Glens Falls street map on an elegant 18.5 oz stemmed wine glasses. 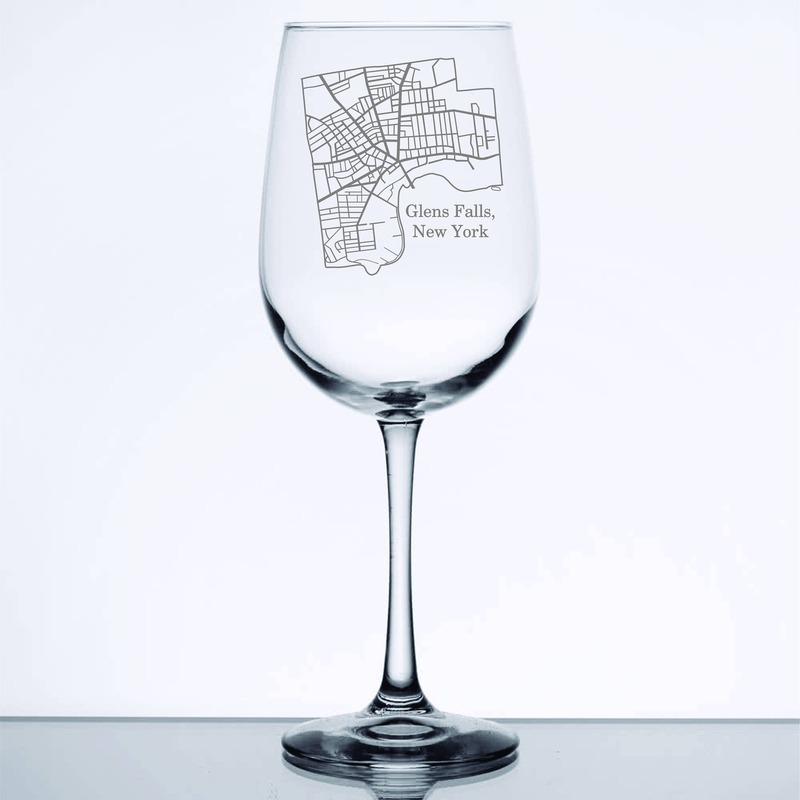 This is a super local favorite. 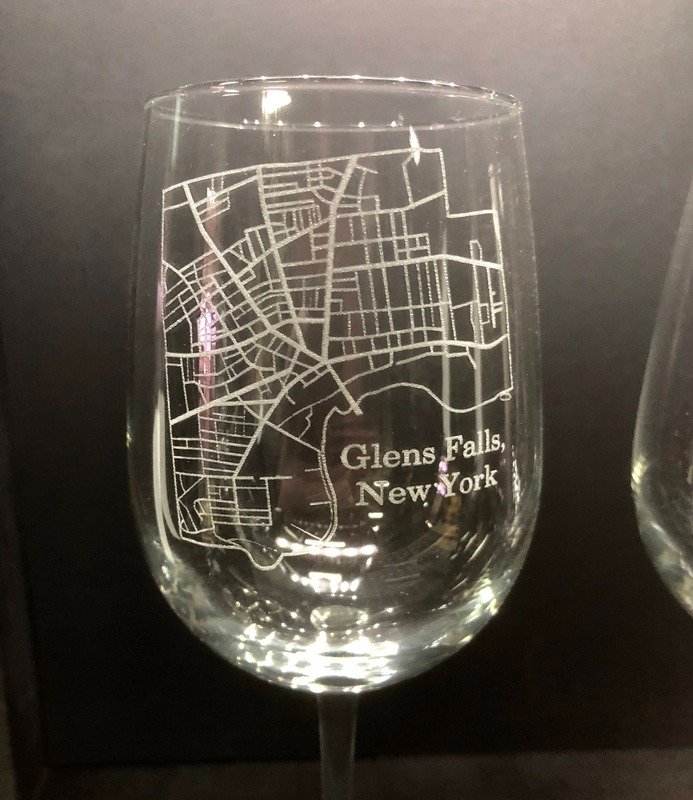 A street map of Glens Falls, NY is laser etched into our elegant wine glasses.